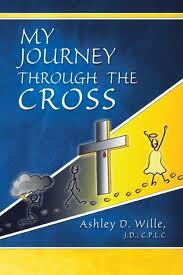 My Journey Through the Cross, written in personal journal format, is available for purchase at my website, Amazon or Kindle. I am available to speak at your small group, church, school or organization. -chapter introductions to Micky Land’s book, Ending the War with Myself, Loving Myself As God Does (Amazon, Smashwords). To clarify confusion with similar names online, I include the middle initial D. and sometimes the J.D., C.P.L.C. afterwards. Hi. I attempted to speak with you via email and did not receive an email back. Im sad to say that I am disappointed, as reaching out like that is not usual for me and I had hoped for an answer to a question i have been stuck with… I am hoping this was just a mix up and that I will yet receive a response to my prior email. Thanks for your time. I replied on gmail…let’s continue there. Thanks!